May the Peace of the Lord be upon my Caribbean comrades. I bring to you, greetings on behalf of the Government and people of the British Virgin Islands. Today, I am indeed delighted to join you all on this most historic occasion, and for my first visit to your beautiful islands of Guadeloupe. We in the BVI all cherish the relationship we have had with the Eastern Caribbean over the years and throughout history. The deep bonds of friendship and familial ties which exist between our people, provides the solid foundation for collaboration through the OECS system. The Organization of Eastern Caribbean States stands as a beacon in the regional integration movement. These islands lead the way in showing the rest of the region the value of co-operation. As an Associate Member of this body, the BVI has benefited immensely from this Association. 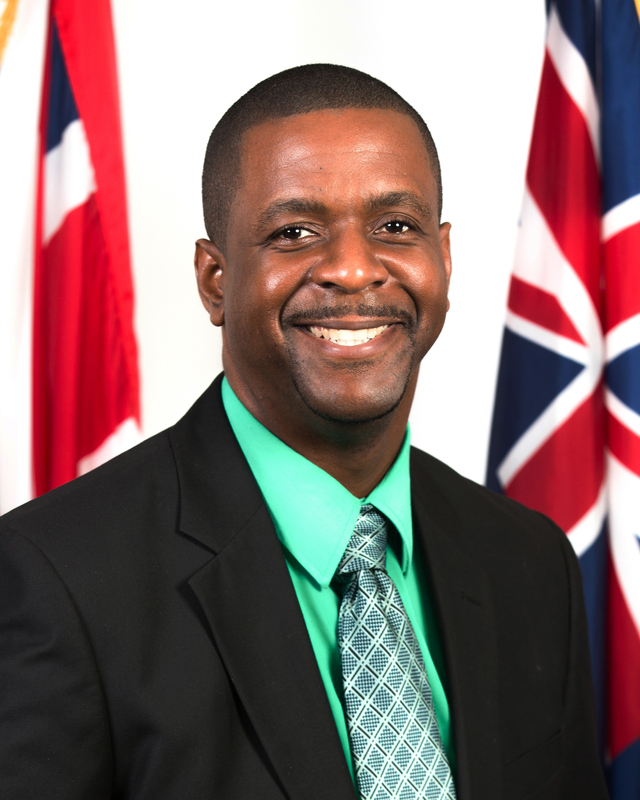 No matter who is in power in the BVI, successive governments have sought to deepen and expand those ties. My new administration promises to do the same. This Virgin Islands Party government is fully committed to this integration process, understanding that our similar histories and our shared aspirations bind us together inseparably. It is significant that my first address to this body is here today, as we welcome Guadeloupe as an Associate member. We believe that for Guadeloupe, it is a natural progression, given its strong links to the neighboring islands, especially Dominica. And I am pleased to see here today, the Prime Minister of Dominica, Honourable Roosevelt Skerrit, one of our modern-day champions for regional unity. I have known Prime Minister Skerrit for a long time, when we were as younger men, both Ministers of Education in our respective territories. I am pleased to have followed his example, as only this past February, I humbly accepted the mantle of leadership in this defining time in the history of the BVI. Therefore, I am pleased to be here today – and I am happy that Guadeloupe is taking its rightful place at this OECS table. The late Grenadian leader, Maurice Bishop, who was one of the original signatories to the OECS Charter in Basseterre back in 1981 - and whose revolution coincidentally happened 40 years ago yesterday and who would have turned 75 this May - once said that we must not let seas and language keep us apart; and that our shared destiny borne out of the struggles of colonialism, is to empower and liberate our people. On taking office two weeks ago – one of the first decisions my government has taken is to set up a committee to urgently look into the status situation of thousands of people – most of them from the Eastern Caribbean, particularly St. Vincent and the Grenadines and Dominica – who have made the BVI their home. Many of these people – our dear friends and neighbors – have lived and worked in the BVI more than a decade. Many of them have given birth and raised their children there. Yet, they have no official status. My government believes that it is an economic and moral imperative that we fix this situation and afford residency and more permanent status arrangements for the many families who have been kept in limbo and forced to live a life of uncertainty all these years. We will regularise for persons, such as the St. Lucian restaurant attendant at one of the places I eat from regularly in Road Town, who came to help her aunt in her store as a 16-year-old out of school, nearly 20 years ago. She has three children, all born in the BVI. Up to today, neither she nor her children have any official status. We shall not, through policy or omission, contribute to cultivating a Caribbean under class anymore. Our civilization is better than that; and this new government shall prove that -- beyond words – and take genuine action. We value our relations with the OECS – and the many areas of co-operation which our Territory has benefited from – especially in areas such as Education, Health, Disaster Management, and the Administration of Justice. In moments of challenge, such as that experienced following the devastating hurricanes of September 2017, you came to our aid and have helped the BVI to restore our lives and economy. Your people – the Caribbean people – moblised themselves and shared what little they had with us – their fruits and provisions; their restoration workers – and even their coal pots. That is the level of solidarity that this Authority embodies. This is not just about elected officials talking to elected officials; this is about a movement of ordinary people. We may have arrived here on different boats; but now we are in the same ship. And in the face of new challenges, orchestrated onslaughts, we must be determined to move forward together – not on our knees – but on our feet. We shall draw inspiration from Bishop, Bird, Simmons, Charles, and Mitchell, and also of those who gave new meaning to this body back in 1981. Our struggles in this Caribbean basin have always been one and the same – and it manifests itself in the modern day through our shared interest in having to defend and protect our different financial services sectors from unfair and onerous demands from a few in the United Kingdom Parliament (in particular in our case); and the European Union in all of our cases. We also seek sub-regional solidarity in standing-up to a new aggressive push from some members of the United Kingdom Parliament, which seems determined to issue edicts to its Overseas Territories in the region, without paying attention to the expressed will of the people, and ignoring our own values and customs which are deeply fashioned by both history, geography and our faith. But it is not just those official ties through the OECS system that we appreciate – but perhaps even more fundamentally, the people-to-people relations. Those bonds are unbreakable and unshakable. One of my team members – a successful Territorial At-Large candidate who is now our Junior Minister of Tourism has a very successful music band, and literally every member of the six-member band is from a different Territory. The music director is from Antigua; the lead singer from Grenada and other members from Virgin Gorda is a great example. As a people, we all move to the same beat. Our vibe and our rhythm are built on hopeful melodies of change, and cadences that capture aspirations of building a stronger and better society that we can pass on to our children. This OECS body is indeed one significant opportunity for us to all join together; stay together – and sing our own song in the same key and in the same rhythm. Thank you all for your enduring commitment to the growth and development of our region and for your warm welcome here today.